We're looking for the right kind of people to join our team — someone, like you perhaps, who has the skills and attitude to make every customer's experience the best it can be. 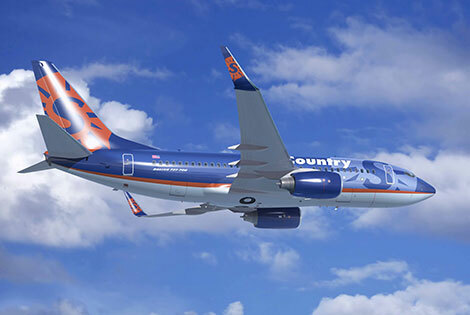 Thank you for your interest in Sun Country Airlines! Sun Country Airlines is currently accepting applications for first officer positions. Applications for employment as a Sun Country Airlines pilot must be submitted through AirlineApps.com. Applications for Sun Country Airlines pilot positions may be submitted free of charge, though a fee may be charged if you wish to join AirlineApps as a member for added features. If you are already a member of the AirlineApps system, sign in to your account and add Sun Country Airlines to your target listing. Subscribe to receive exclusive offers from Sun Country.